Disclaimer: I received a pre-release copy of Fitness Junkie from NetGalley in exchange for my honest review. All opinions are, of course, my own. For this month's Book Club Read, I decided to go with a fun, lighthearted book--dare I call it "chick-lit"-- that would be perfect at the beach or the pool. I was fortunate that Fitness Junkie was released in July, just in time for a lazy summer read! 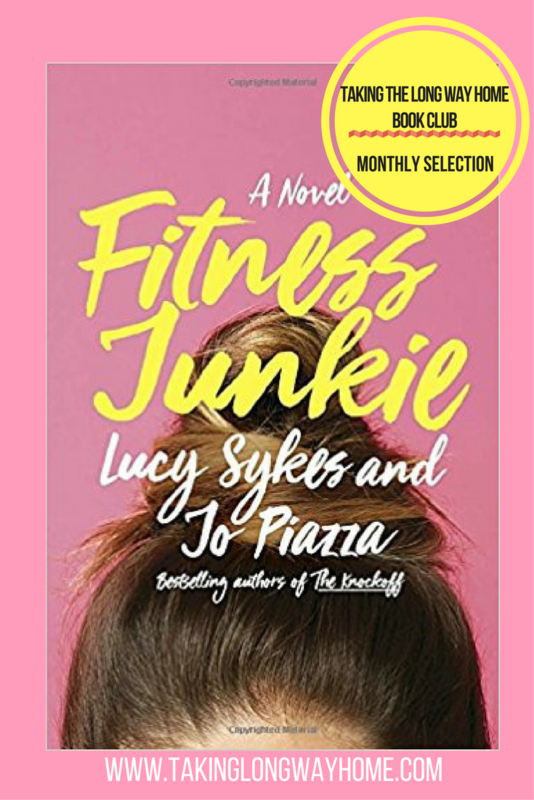 Lucy Sykes and Jo Piazza, who took the fashion industry to task with their satirical novel, The Knockoff: A Novel , give the fitness industry the same treatment. Spoiler alert: If you aren't a fan of snarky humor, then you just might not like this one.